Greetings! Fridays are always a great day, but lately, I've got something else to look forward to besides the start to my weekend. Yes, I'm talking about the Pahlish restocks. 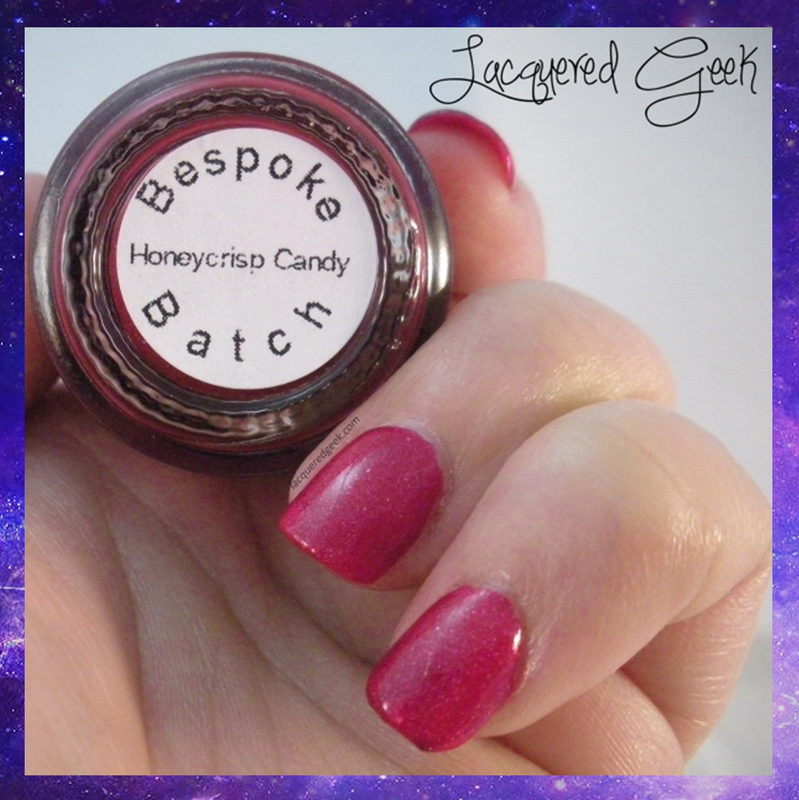 I'm seriously addicted to these Bespoke polishes. I almost cried when I didn't get home last Friday night in time to get last week's! To soothe my grief, I'm going to share 2 Bespokes that I was able to snag a couple of weeks ago - Honeycrisp Candy and Pumpkin Parade. First up is Honeycrisp Candy. 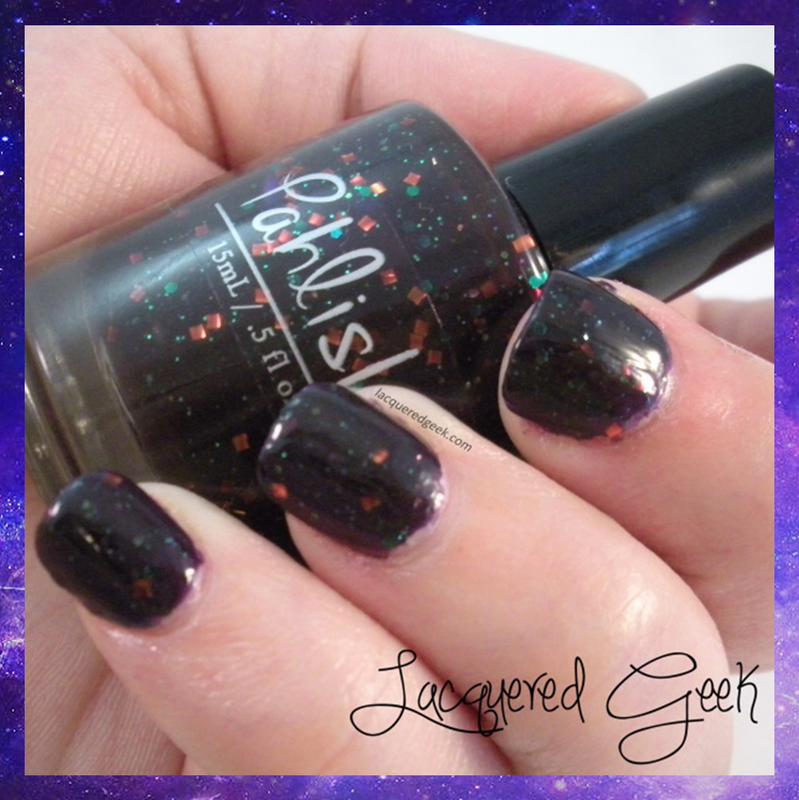 Described as a "cherry red holo with purple and green shimmer," it leaned a bit more magenta on me. It is gorgeous! The shimmer really sets this polish apart from others that I have that are similar color. The formula was perfect. 2 easy coats with a top coat was all that was needed, and I didn't experience any staining when I removed it. The only thing that was missing was an apple scent. I was craving apples by the time I was finished with this one! 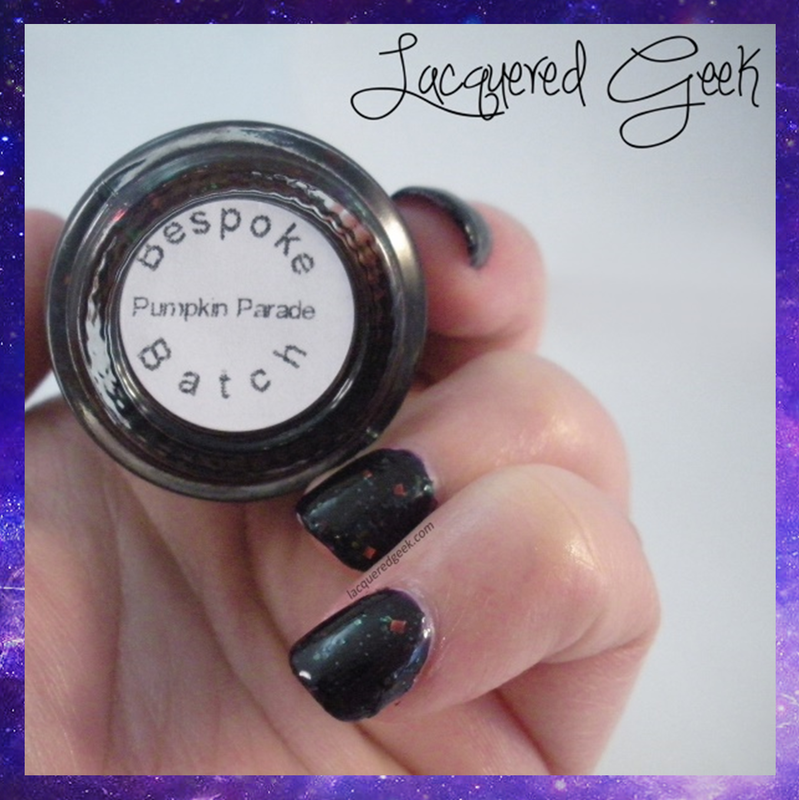 The other Bespoke that I picked up was Pumpkin Parade. This was described as a "reddish purple jelly with green hexes, orange squares, and copper flakes." On me, no matter what light I tried, I could not get this one to not look black on me. I could see purple undertones, but it was a much more blackened purple than I was expecting. You can see hints of purple in the last photo. This one was much more difficult to work with than Honeycrisp Candy. The formula was thicker, even after adding thinner. 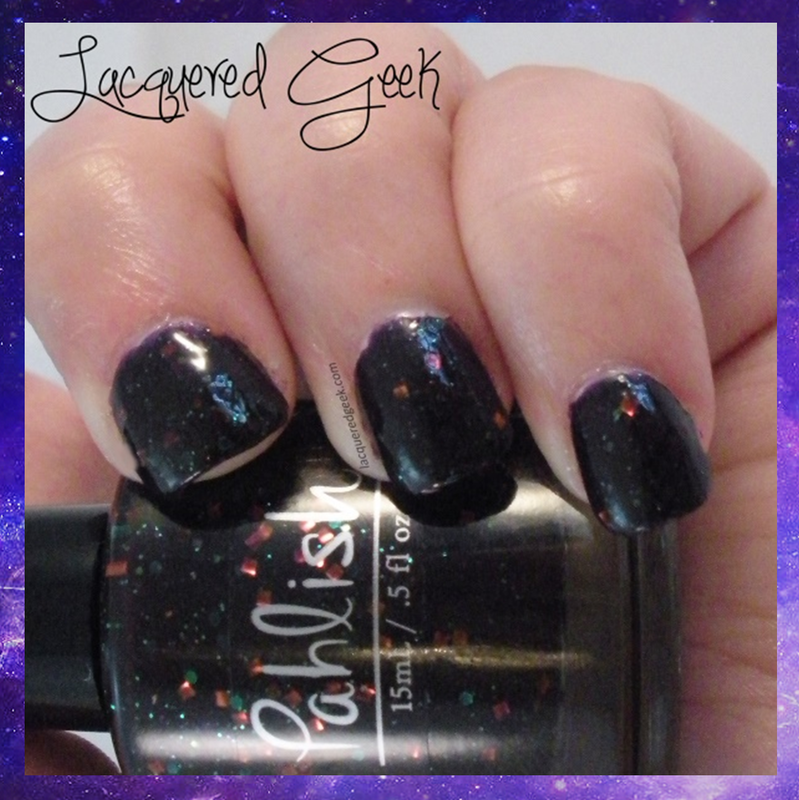 I used 2 coats plus a top coat for these photos. I did experience just a bit of balding on my first coat because I was trying to use thin layers, and this guy just wasn't having it. On my second coat, I was a little more heavy handed, and it went on much better. 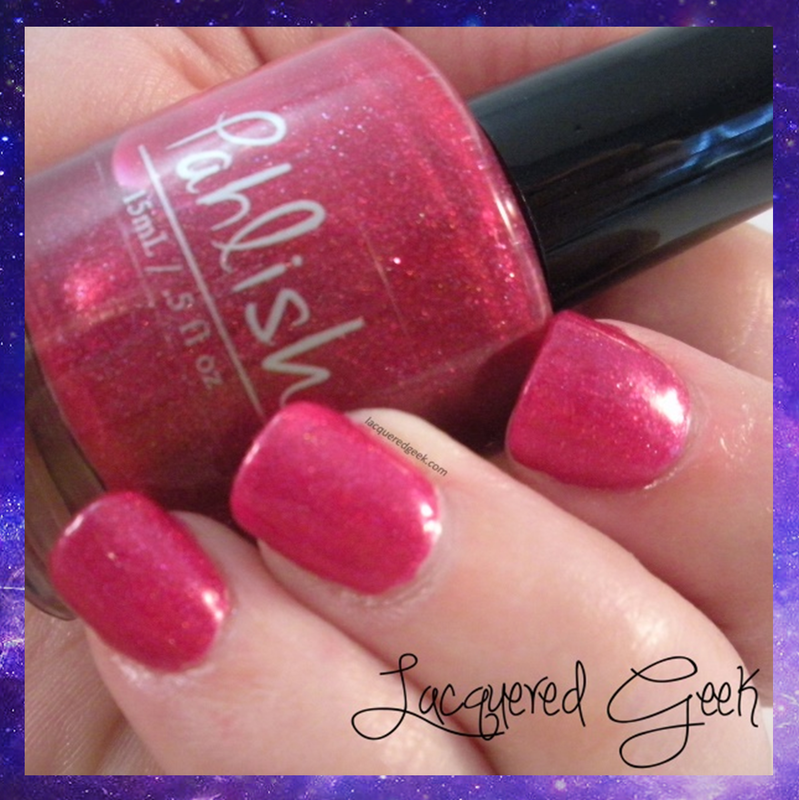 Pahlish polishes can be picked up from her website. Her restocks are every Friday at 7:00PM CST. She'll be restocking the Happy Holo-ween collection tonight! I'm still quite sad about missing last week's Bespoke, Chromatic Candy Crunch, so I am not making any dinner plans for tonight. No more missing polishes!